BIONIC MAN @ LONDON SCIENCE MUSEUM. Created for a Channel 4 documentary (01/2013) to prove just how closely technology can emulate the human body, Rex – short for “robotic exoskeleton” – has been put together by the Shadow robotics company using artificial limbs and organs borrowed from the laboratories of leading scientists from as far afield as New Zealand and San Francisco. 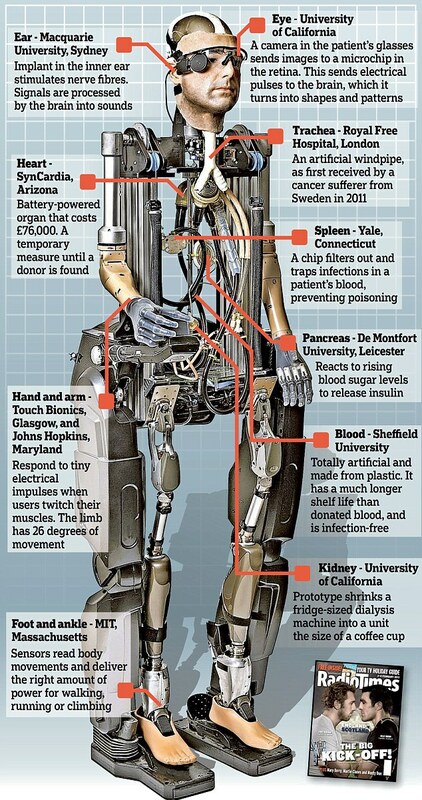 As well as prosthetic arms and legs, he has a functioning heart, lung, kidney, pancreas and spleen, artificial arteries that carry man-made blood, and a microchip that interprets images and acts as a rudimentary eye. Rex has been modelled on a Swiss social psychologist Bertholt Meyer, who is himself an arm-amputee, and has a face hatmakes him his twin brother at all. 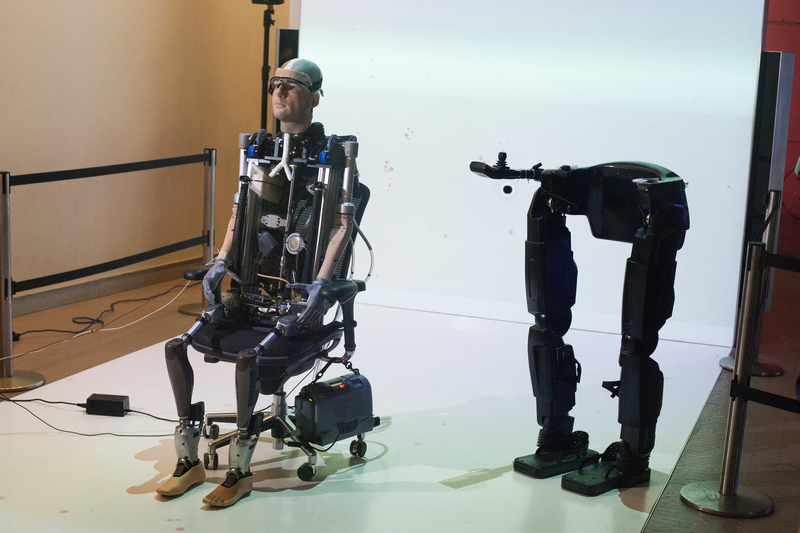 The cost of this first “bionic man” is about $ 1 million.